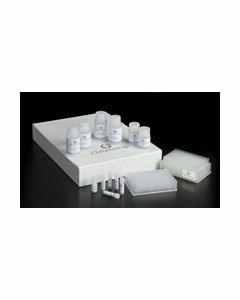 Chromatrap | ARP American Research Products, Inc.
Chromatrap® provides a revolutionary solid state platform for chromatin immunoprecipitation (ChIP) using spin columns or filter plates. Chromatrap® continues to help researchers get more from their epigenetics research. ChIP is a technique used to study the association of specific proteins, or their modified isoforms, with defined genomic regions. It is a fast growing research technique and is commonly used for mapping the DNA-protein interactions in cells which are crucial for correct gene regulation. For example, they may be used to determine whether proteins such as transcription factors and modified histones bind to a particular region of DNA of living cells or tissues. In a ChIP assay, fragments of the DNA-protein complex (chromatin) are cross-linked in such a way so as to retain the specific DNA-protein interactions. The chromatin is then extracted and shared either by sonication or enzymatic digestion into small fragments. The DNA/protein fragments are selectively immunoprecipitated using antibodies directed against the protein of interest and the resulting fractions treated to separate the DNA and protein components. Why is the Chromatrap® technology better? 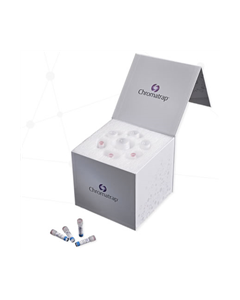 Chromatrap® kits use spin columns or filter-bottom microplates which contain discs of a novel, inert, porous polymer to which Protein A or G has been covalently attached. This patented format is unique and has been granted in the UK (Patent No. GB2482209), the US (Patent No. 9523681) and China (Patent No. ZL 2011 8 0067254.X). During an assay, the chromatin/antibody complex is selectively retained by the disc. Washing with three buffers and an elution step are all that is required to obtain the selectively enriched DNA, making Chromatrap® more efficient in the laboratory. How does it perform in the laboratory? The novel solid state Chromatrap® protocols do differ from those used by other kit suppliers, including Active Motif, Diagenode, Cell Signalling Technology (CST), Abcam, Zymo Research and Epigentek, as these are all bead-based kits. It is therefore imperative that you carefully study the protocols used by Chromatrap first. We do not advise mixing buffers or washes from other manufacturers’ kits with Chromatrap® columns, as our superior solid-state chemistry may not be compatible with their kit components. Need help deciding which Chromatrap product is most suitable for your needs? Click here!